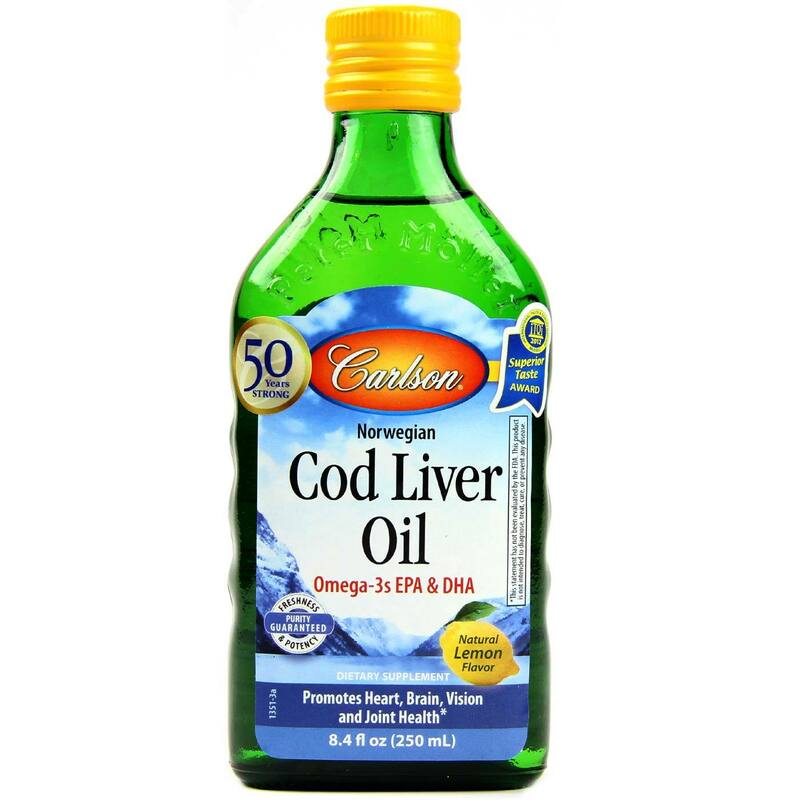 Cod Liver Oil by Carlson Labs contains 4.6 g Norwegian Cod Liver Oil Per Serving. Recommended Use: Take one or more teaspoons daily at mealtime or bedtime. Refrigerate after opening to retain freshness. 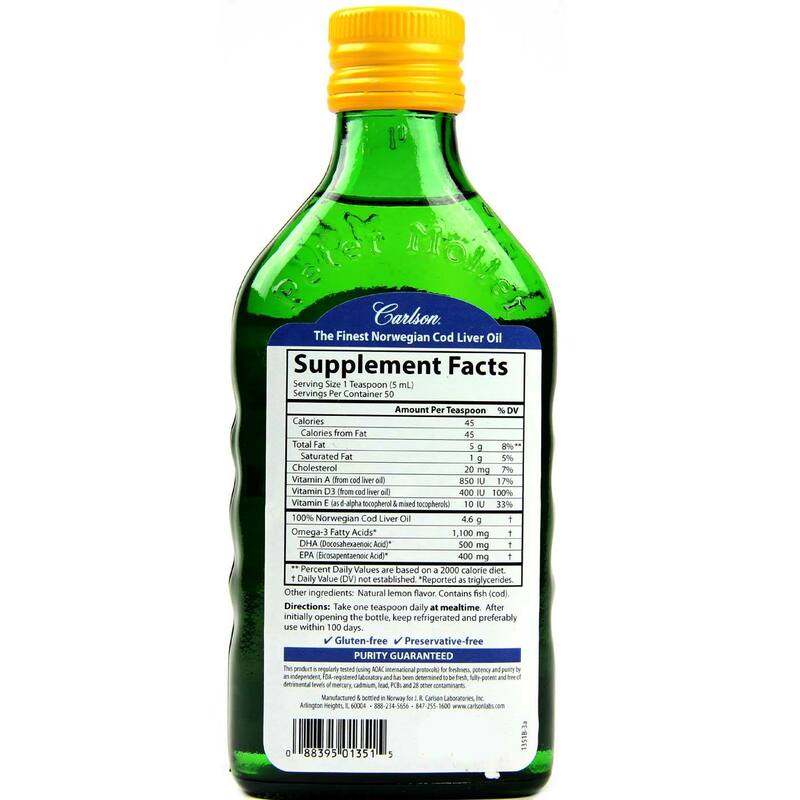 The customer reviews posted below are based on individual consumer experiences and may NOT necessarily represent what expected results will be from using or taking Carlson Labs Cod Liver Oil Lemon - 8.4 fl oz. These results may not be typical and you should not necessarily expect to receive the same results. Actual results may vary. Cod Liver Oil Lemon is a great alternative if you do not like taking pills. It has a fresh lemon taste. At first when you take it, you have to get used to the consistency, but overall it's a great product that offers easy use. I was amazed that I was able to convince our seven year old to take this product. I had visions of a battle to get him to take it since there is not much the he will eat. To my surprise, the lemon flavor masks the fishy taste very well. I can remember being forced to take the regular flavored stuff as a kid and doing everything in my power to avoid that dreaded spoonful. Too bad we didn't have this product then. The most delicious thing. I love taking it. Very light and lemon tasting. Absolutely no fish taste while taking it or later on. 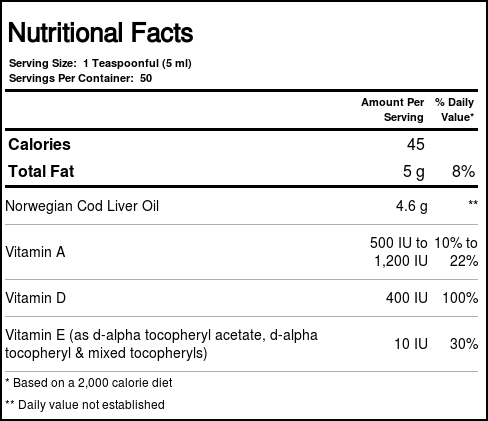 Impossible to believe it is a fish oil. This product is incredible.